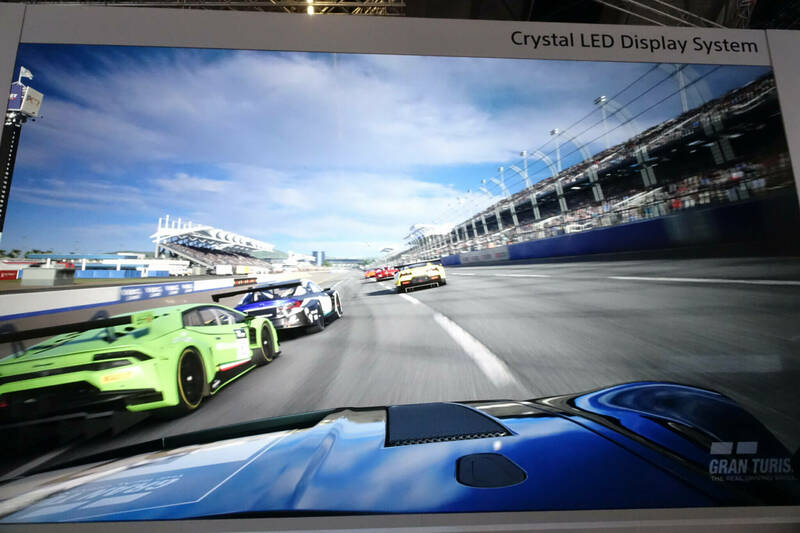 Discussion in 'Gran Turismo Sport' started by GTPNewsWire, Apr 16, 2019. This article was published by Kyle Patrick (@SlipZtrEm) on April 16th, 2019 in the Gran Turismo 7 category. CodeCmdr, Rick Bohart, Qyn and 15 others like this. Mistah_MCA, Aero2000, CodeCmdr and 26 others like this. Explains why Sport is so half-assed. At least PD is getting a jump on the next generation. CodeCmdr, Qyn, MidFieldMaven and 1 other person like this. Mistah_MCA, GT Sport, dangerman1985 and 21 others like this. Imo GT7 it’s just going to be GT Sport Remaster with a normal career mode like past GT games. ste.sully, dangerman1985, banckzy and 14 others like this. GT Sport, dangerman1985, WhiteFlight1 and 9 others like this. GT Sport, dangerman1985, WhiteFlight1 and 28 others like this. Qyn, CallawaySS, YoBuck and 7 others like this. Qyn, CallawaySS, WJHMH and 3 others like this. GT Sport, CodeCmdr, fastone371 and 17 others like this. Having been down the GT will be a launch title for three console generations, I remain heavily skeptical. Given that the PS5 has been confirmed as being backward compatible, that's almost a redundent option. Qyn, CinnamonOD, im_seb30 and 15 others like this. Nah, i highly doubt it. I dont think they want to split their e-sport user base anytime soon. GT Sport on PS5 makes perfect sense, though. The proper sequel could arrive 2-3 years later. Knowing Polyphonys track record, they will take their time. However, good thing they dont have to start from scratch this time around. fastone371 and Bohemis09 like this. What if the FIA Championships were imported into GT7? Why MUST it stay on Sport? Sander 001, WhiteFlight1, fastone371 and 6 others like this. Personally, I'd much rather get GT7 on PS4 next year right before the PS5's launch. Let PD work on a GT game without the pressure of needing to have it ready for launch. Nice to have an article so quickly. dangerman1985, im_seb30, ZRO and 4 others like this. You might be in the minority for that one. Do you want a repeat of GT6? poumpoum, Qyn, CinnamonOD and 15 others like this. What happened with GT6? I know it launched a few months after the PS3, did it sell poorly? With the PS5 being backwards compatible, they could release GT7 on PS4 and let people on both systems play it, that way they get the PS4 and PS5 sales plus the double dippers. GT6 was released for the PS3 around the launch of the PS4. It sold less than GT5 Prologue, and nearly less than GT PSP. That is considered a failure in the aspect of the numbers of what Polyphony is used to putting up; possibly a big reason for them abandoning their promise of monthly content update (which we are now getting in GT Sport). Sander 001, poumpoum, iMikeTheKing and 7 others like this. That 7.5m number is wrong. The article implied that player count is the overall sold copies which it isn't. We still don't know how much copies GTSport has sold at this point. SDSPOWER01 and VBR like this. Alright, that does make my possibility much less likely. However, BC could increase some sales by basically having the game on two platforms, basically some Zelda BOTW scenario. Still, even if it's PS5 only I'd much rather not have it at launch. Studios goes through tremendous crunch periods to get the product ready and that usually means postponing content, less polish or disappointement if they delay it (Driveclub). PD deserves time to get the game ready, we've known for a while that they already made the cars for Sport with 8k in mind so hopefully it won't take too long. I did not say anything about GT Sport in that post, I just included the screenshot for sales data. Maybe take a read through my post? Gran Turismo sales have never increased on the second full game on the same console. and, PS5 is scheduled to be launched in March 2020... or November 2020... an 8 month window of uncertainty. and, if bundled, how many young gamers will be joining Sport mode? I mean, it would be great, and I'd go buy it... but no excitement/anticipation here. Which is why the game would also be available on the new console. GT Sport was delayed 1 full year..
Nexus, FoRiZon, Castrol96 and 2 others like this. At some point, the FIA championships will move on to the next game, yes. But 2020 already? I think it will stay where the player base is for the time being. And how many GT Sport players will jump in straight to PS5 as soon as it comes out? It could be an expensive console, judging by the latest tech talk by Mark Cerny. EDK and Canucks_9419 like this. That would be great. That and the rumoured Battlefield Bad Company 3 would be amazing. Whenever GT7 launches it must be a feature complete racing title not just a Gran Turismo. There needs to be dynamic time and weather and a vastly improved AI model. CinnamonOD, im_seb30, SDSPOWER01 and 7 others like this.